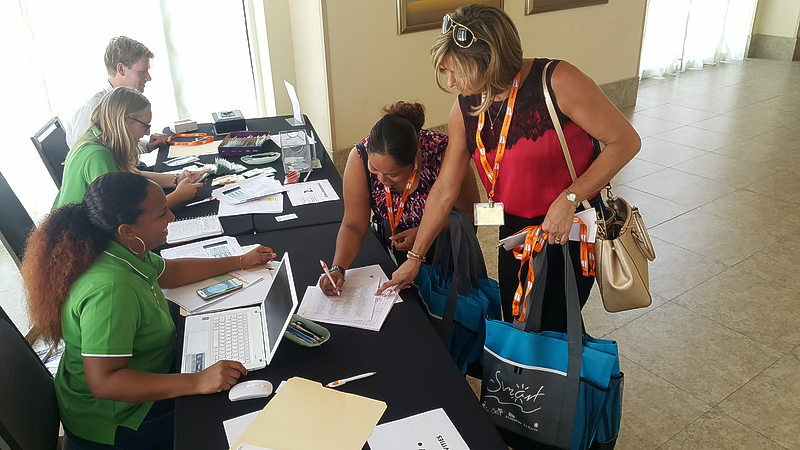 The St. Maarten Annual Regional Tradeshow (SMART) opened on Wednesday in The Westin St. Maarten Dawn Beach Resort and Spa with early morning registration followed by a sneak peek of the newest attraction – Rockland Adventures’ chairlift and zipline to the top of Sentry Hill, the country’s highest Point. The hilltop thrill was followed by the opening party at the Resort ahead of today’s full agenda of appointments between hoteliers and activities companies and tour operators. SMART ends on Friday with morning appointments and a closing party in Anse Marcel.